Wow. What else is there to say about this monster rebound? Buyers haven’t been this desperate to own stocks over a two-day period since 2011. But is this aggressive buying good for the market? Is it sustainable? Does it give us a stable foundation to build on? As kids learn from the Tortoise and the Hare, slow and steady wins the race. By that measure it is hard to get excited about the speed and size of this rebound from the 1,970 lows. The biggest concern I have is choppy trade is often a symptom of changes in trend. We’ve had three material dips since summer and now this uncharacteristically sharp up-move. The bull rally turned five this spring, making it fairly mature as far as bull markets go. And there is little fear priced into the market since it has largely ignored bearish geopolitical and economic headlines from around the world as it keeps setting record high after record high. US large cap stocks are the last-man standing in a world where almost all other markets and asset classes have seen material selloffs. How much longer can this continue? Anyone taking the time to look through the CrackedMarket archives will see I’ve been a resolute buy-the-dip guy since I started this blog in early 2012. Greece, Cyprus, Euro breakup, Fiscal Cliffs, Govt Shut Downs, Taper, etc. It didn’t matter what the headline, I embraced the fear and saw every negative headlines as an excuse to pick up stock for cheap. But we all know this must come to an end at some point. Buying the dip has become so routine now that everyone is doing it. Good employment, bad employment, strong GDP, weak GDP, Russia invading sovereign nations, nothing matters to this market. That is until it does. We might finally be arriving at that point where it does. While I’m not ready to say tomorrow is the first day of a 20 or 30 percent bear market, all these factors lining up here are enough to make a buy-the-dip guy far more cautious going forward. The market has enough momentum that it can coast into year-end, but what happens in January is anyone guess. Markets typically look ahead six to 12 months, which means if the market suspects we will see inflation/deflation/increasing interest rates/currency contagion/recession/or anything else next year, it will start pricing it in starting in January. If the rate of gains slows down and becomes more sustainable, then this can continue. But if we retreat back under key support levels in the near-term, I wouldn’t be so quick to buy the dip this time. 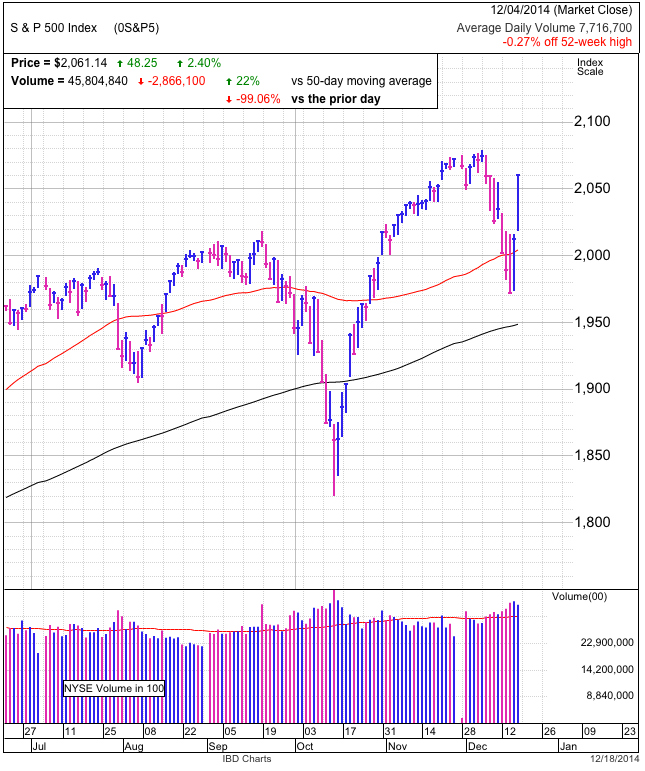 Stocks bounced decisively from yesterday’s lows, reclaiming 2,000 support and the 50dma. The 2% move was the largest gain since 2013 and came on the highest volume we’ve seen since the pullback started. The headline catalyst was continued accommodative language from the Fed and Janet Yellen. While they didn’t specifically say recent global turmoil would delay interest rate hikes, that is the way many traders took it. A gain is always better than a loss, but it is usually safer and more sustainable to see the market grind higher in more measured steps. Huge moves often result in equally dramatic moves in the opposite direction. That’s clearly been the case over the last three days. Will we see more of the same tomorrow? Only time will tell. 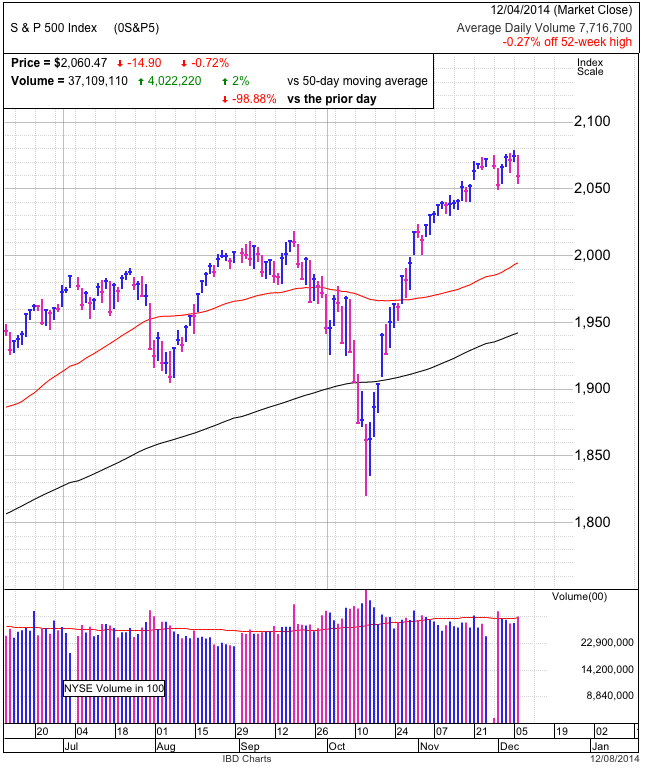 The last time we saw an equally impressive up-day was October 10th, 2013 as the market also rebounded from a dip under the 50-dma. 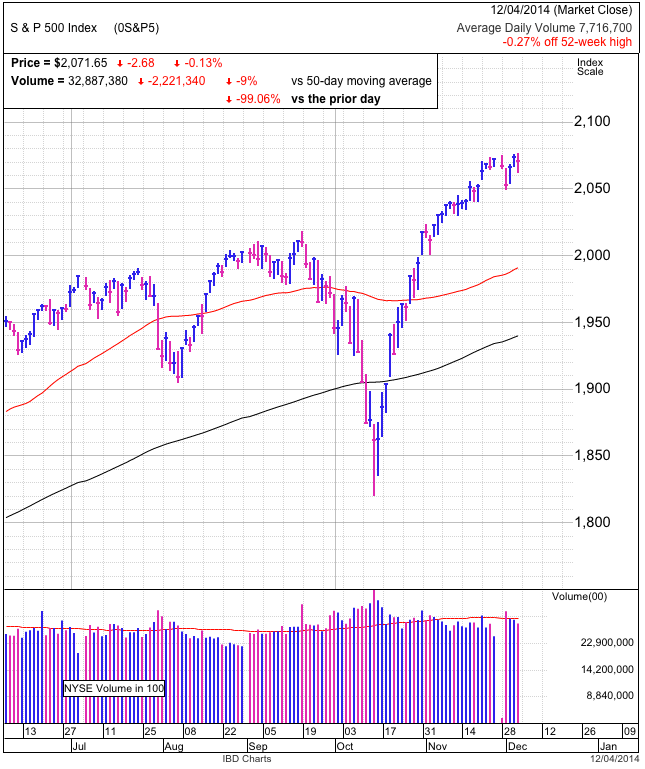 While the market held those gains and eventually climbed another 100-points over the next two months, the moves immediately after the 2% gain were much slower. If that situation plays out again, there will be plenty of time for traders to jump on board the rebound. The risk is if the selling isn’t over and we see another equally dramatic move lower tomorrow. Markets typically rebound quickly from oversold levels. It’s taken four days for us to reclaim 2,000 support after a couple failed rebound attempts. That shows traders previously refused to embrace the bounces. Is the third time the charm? We will find out on Thursday. While it is okay to buy the dip, keep the trade on a short leash and don’t allow these gains to retreat into losses. Failure to continue this momentum higher is very bearish and says we haven’t found the bottom yet. Start of the End, or End of the Start? It was a wild ride as the market gapped lower at the open, rallied 40-points by lunchtime, only to give all those back and then some by the close. While the market closed lower by 16-points, we traveled nearly 120-points to get there. Absolutely stunning. The crashing oil story took the day off as the market obsessed over the imploding Russian Ruble. Many pundits drew parallels to 1998’s currency crisis and that was enough to roil markets around the world. But was this just a hiccup, or the start of another global meltdown? Russia’s been the target of sanctions from the West since they exploited and inflamed the crisis in Ukraine. These political tensions and preexisting economic weakness already reduced Western exposure to Russia, so it is far less likely this crisis will take Western banking and economies down with it. This story should leave the front pages in no time. As for oil, it’s funny how bears try to have it both ways. Rising oil prices are clearly bad for consumers, but then so are falling oil prices?!?!? On popular social media it is hard to find many people on Main Street that are worried about $2 gasoline. This video clip got nearly four thousand up-votes on a popular website when one guy shared his feelings from his last trip to the gas pump. Technically today’s price action was as ugly as it gets. We blasted above key levels in midday trade, but couldn’t hold them and made new lows by the close. This wild ride lead to lots of trading and volume was 28% above average and one of the most active days of the year. But technicals are only half the picture. What about sentiment? Last week’s selloff saw bullish sentiment on Stocktwit’s SPY boards plunge from 65% to 41% while bearishness spiked to levels last seen near the bottom of October’s selloff. While hardly conclusive, it does show many traders have changed their minds recently and their selling is clearly evident in the falling prices. But the thing about markets is they operate on supply and demand, not sentiment. By the time the crowd is overwhelmingly pessimistic, that means they’ve already sold their stock. Once the crowd finishes selling their stock, we run out of supply and prices rebound. While today’s headlines feel horrific, we have to remember they feel this way during every dip. If they didn’t, no one would sell the headlines, and we wouldn’t have a dip to begin with. The question is if this time is more than another routine dip. In a bull market we have to operate under the premise that every dip is buyable. That’s because a rally continues countless times, but only reverses once. When trading, I would rather put my money on countless profit opportunities, than bet everything hoping this is that one time. But we cannot be ignorant to the risks either. If we are already at oversold conditions, the market should bounce and race higher into year-end. But if we cannot find a bottom, the next stop is 1,950. After that it’s 1,900. Break 1,900 and we’ll race past October’s lows. Stocks tumbled Wednesday, giving back all of Tuesday’s rebound and then some. Volume was modestly higher, but far from panic levels. 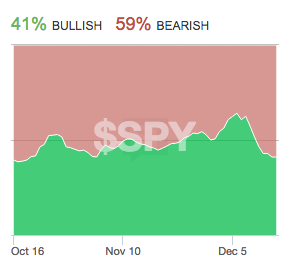 The 60-point selloff from last week’s highs was enough to knock 10% off of Stocktwits’ SPY bullish sentiment gauge, but the reading is still in bullish territory at 55%. The thing both bulls and bears need to remember is markets go up and markets down. That’s what they do. Talking heads try to come up with a reason for every gyration, but the simple fact is prices fluctuate. They always have and always will. A dip from 2,075 shouldn’t surprise bulls and bears shouldn’t expect the market to collapse after slipping a couple percent from all-time highs. It’s been a strong, one-direction move from October’s lows and everyone should agree it is normal and healthy for the market to trade sideways here. While the dip has dampened bullish enthusiasm, we probably need to test 2,000 support before we can say sentiment has been reset. 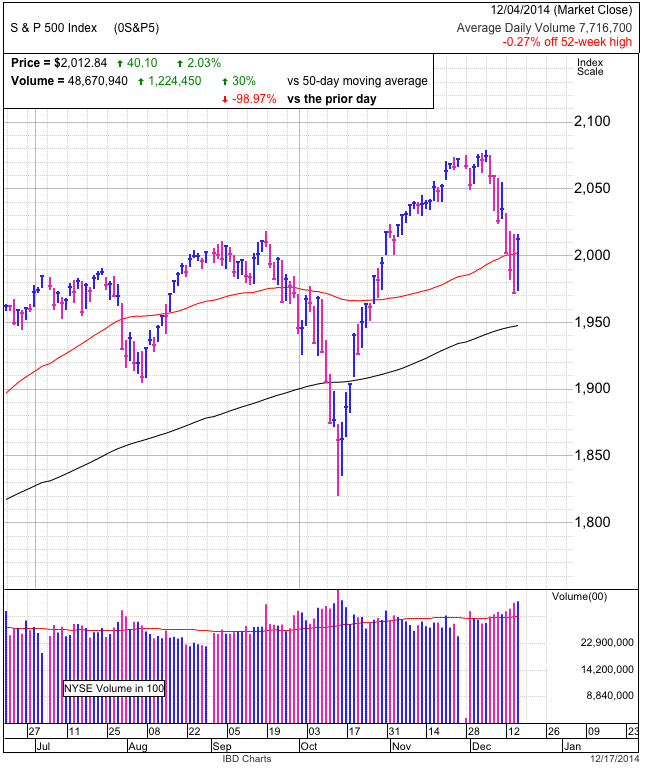 Holding 2,000 and the 50-dma sets up an interesting buy-the-dip opportunity. If we slice through support and selling accelerates, then the next stop is 1,950. Stocks stumbled in late morning trade, challenging 2,050 support before recovering a small portion of the losses by closing at 2,060. There are a handful of explanations for today’s weakness, but the simple truth is we ran out of buyers. The first hints of weak demand came on Friday as the market failed to make material headway following an unexpectedly strong employment report. This news was more than enough of a catalyst to launch us higher if there was upside remaining in this move. The fact we barely budged showed us an abundance of bullishness was already priced in. When we no longer rally on good news, look out below. That is exactly what caught up with us today. Anyone who wanted to buy this market already bought it, meaning there was no one left. For much of the rally, the Stocktwits SPY sentiment gauge remained stubbornly stuck in bearish territory. It was the widespread reluctance to believe in this rebound that propelled us from the October lows. 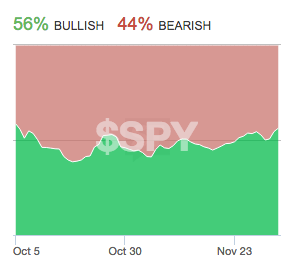 But last couple weeks saw a dramatic reversal as sentiment swung from 55% bearishness to 65% bullishness. That 20-percentage point reversal told us bears were giving up and bulls were getting cocky. The market is an equal opportunity humiliator. After thoroughly demoralizing bears with a 250-point rebound, it is now turning its attention toward bulls. 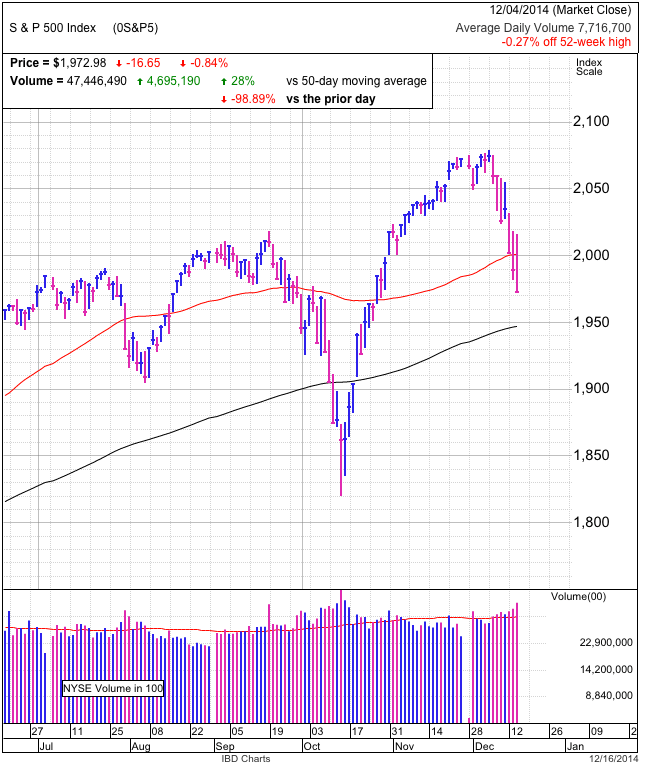 While we bounced above 2,050 support Monday, it is inevitable the market will dip under this key technical level before this is all said and done. How the market responds after violating support will tell us where we go next. If selling stalls and we quickly retake 2,050, this is just another buyable dip. But if buyers are MIA and the selling accelerates, 2,010 is the next meaningful support level. Trade accordingly. This analysis diverges from my previous expectation of a Santa Claus rally, but we have to be flexible enough to change our outlook when presented with new evidence. The Santa Claus rally theory predicted a pop following bullish employment. When the market didn’t behave as expected, it meant the underlying theory was flawed. While there is still time for a Santa Claus rally in the second half of the month, at the very least expect weakness over the next few days. It was another interesting day. Weakness in European markets knocked us down at the open, but we came roaring back midday. Even though we closed in the red, we were well off the early lows. It is always encouraging when selling stalls and rebounds, instead of accelerating lower. 2,075 is resistance as the market struggles with this level, but the longer we hold near it, the more inevitable it becomes we will break through it. At this point in the year, fundamentals no longer matter as big money jockeys for position into year-end. While the S&P500 is up a very respectable 14% for the year, it left many cynical managers in its wake. Some never believed in this rally, others were flushed out in October’s dip under 1,900. Both groups are trying to figure out how to repair the damage before sending out annual reports to their investors in a few weeks. While they would love to see the market pullback to 2,000 before then, all too often the market does the exact opposite of what the most desperate traders are praying for. 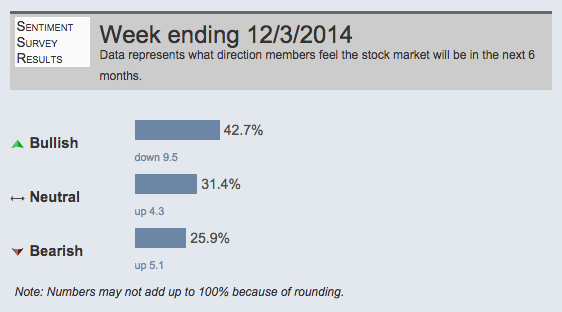 The AAII sentiment survey took a nosedive this week. Bullish sentiment plunged 9.5% even though the market remains within a fraction of all-time highs. This shows many investors are afraid of heights and reluctant to embrace this rally. But all too often today’s holdouts become tomorrow’s chasers. 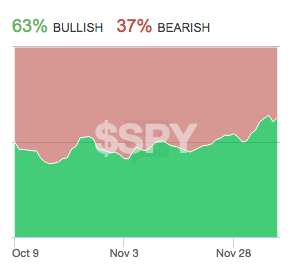 But not to get too far ahead of ourselves, bulls finally overtook bears on Stocktwits’ SPY sentiment gauge this week. While momentum is higher, end-of-year buying is an artificial tailwind that will vanish January 1st. Rather than put new money in this market, we should be thinking about taking profits. Breaking 2,075 could trigger one last short-squeeze, pushing us up to 2,100 before finally running out of steam. Its been a great run, but we need to consolidate recent gains. Friday we have employment. While it gives the talking heads something to obsess over, the market hasn’t cared about employment since we started showing positive numbers several years ago. Hit, miss, or exceed expectations, it hasn’t mattered as this market rallied through it all. Outside of some intraday volatility, this report will be ancient history by the close. Today we closed at another all-time high. The unfortunate thing for anyone betting against this market is new highs come in clusters. We set a dozen records over the last few weeks and will most likely continue doing so for some time to come. Many people have a hard time understanding how this market can keep going up in spite of all the economic and political uncertainty. What they fail to realize is we are going up because of this uncertainty, not in spite of it. Everyone knows supply and demand drives prices, but few understand what that really means. People only trade stocks when their outlook about the future changes. Something happens that causes them to decide they want more of one thing or less of something else. It is this changing of opinion that translates to buying and selling, and ultimately moving prices. Since October 15th we’ve gone from acute levels fear and panic, to things are not so bad. It is this softening of negative sentiment that propelled us higher. And this brings up back to our current situation. October was a painful month that not only inflamed fear and anxiety, but it also flushed many individual and institutional investors out of the market. These investors find themselves underweight equities as we continue making new highs. Over the last several weeks, the fear of a market collapse is giving way to fear of being left behind and many of these October sellers are turning into December chasers. The pressure to buy here is especially strong with institutional money managers who will send quarterly and year-end reports to their clients at the end of the month. Expect all this catch-up buying to fuel the Santa Claus rally. But this end-of-year buying is artificially driven by a date on the calendar. We could very easily find ourselves with vacuum of demand starting January first when institutional money managers are no longer under pressure to dress up their books for the quarterly reports. Stocks slipped to 2,050 support on the first day back from the holiday weekend. Journalists and talking heads are paid to come up with a reason for every market gyration. Real or imagined, producers and editors don’t care as long as it makes good copy. And today we were told the market sold off on poor Black Friday sales and weak economic numbers out of China. Maybe the truth is a lot more boring. Maybe we slipped to support for no other reason than a minor imbalance between supply and demand following an impressive run of up-days. Traders know stocks cannot go up every day, but anytime we slip a few points, they start predicting this is the next collapse. Today’s elevated volume, the highest in nearly a month, shows a lot of people responded to this weakness by selling the dip. While it is clearly an overreaction to claim a 1% pullback from all-time highs will lead to the next big selloff, this is actually a healthy response for the uptrend. The more cynical the crowd, the more viable the rally. The market is still setting up nicely for October sellers to chase prices higher into year-end. Underweight money managers can only wait so long for their predicted pullback before they have to concede defeat and start buying. If they want to keep their job, they cannot look foolish by missing this easy up-trend when end of year statements come out.